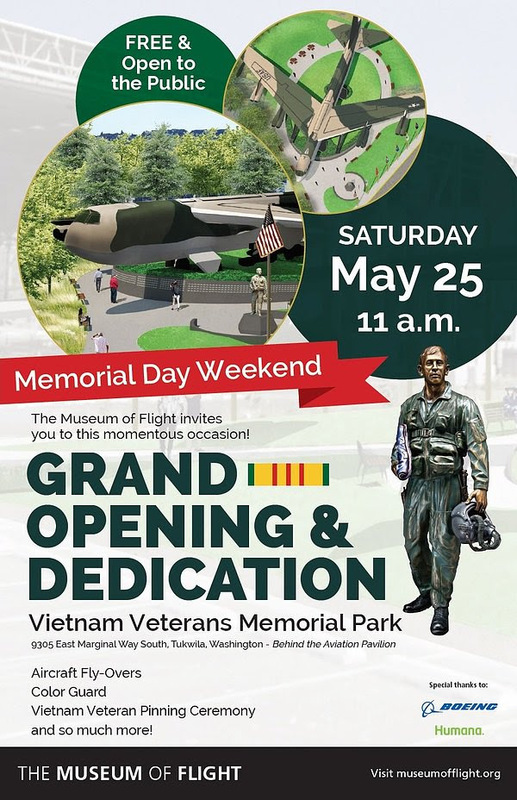 Join us on Saturday, May 25 for the momentous dedication ceremony and grand opening of the Vietnam Veterans Memorial Park at The Museum of Flight. The program begins at 11:00am behind the Aviation Pavilion and includes aircraft fly-overs, a color guard presentation and a special pinning ceremony for Vietnam veterans to honor their service. Join us in honoring our Vietnam veterans and be one of the first to experience the new Memorial Park! Visit the event page below to get the latest updates as we finalize the day's programming, including speakers, panel discussions and so much more! Click here to RSVP and get event updates!